What The Heck is Moon Milk and Why It’s Taking the Internet by Storm? Having trouble sleeping? Moon Milk will have you rocking off and sleeping like a baby in no time. Made with a whole load of goodness such as cashew or almond milk and laced with Ashwagandha. Never heard of Ashwagandha? Ashwagandha is an adaptogen to help the body cope with life’s daily stresses and as a general tonic. Another benefit of Ashwagandha is as a sleep-aid. Hence why it is a popular ingredient in moon milk. There are many recipes for moon milk but I found a rather delightful concoction created by loveandoliveoil.com. 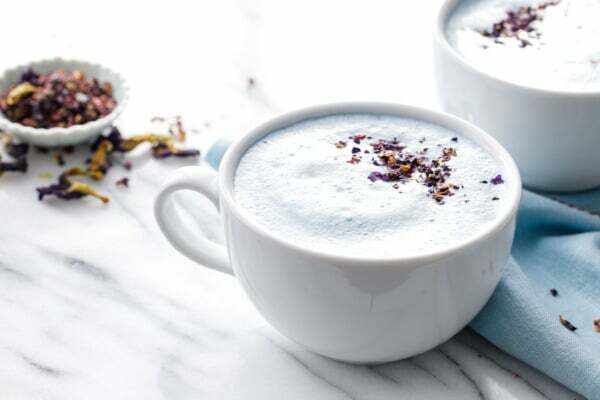 To add to our already triple dose of calm, many recipes for moon milk call for something called ashwagandha: a plant in the nightshade family (related to the tomato) that is said to promote relaxation and healing. It’s what’s called an adaptogen: a group of natural substances that are said to modulate your body’s response to stress and balances bodily functions. You can buy it on Amazon in powdered form. Does it really work? I figure it couldn’t hurt to try. I can’t say definitively if it was the ashwagandha or simply the soothing warm milk that is more effective, though I definitely felt more relaxed after drinking a cup, and in that respect, it’s probably more akin to a drinkable meditation than a noticeable sedative. What is not up for argument is that this blue moon milk is downright delicious. That alone should be the reason for making it; any potential sleep-positive side effects are just the icing on the cake.